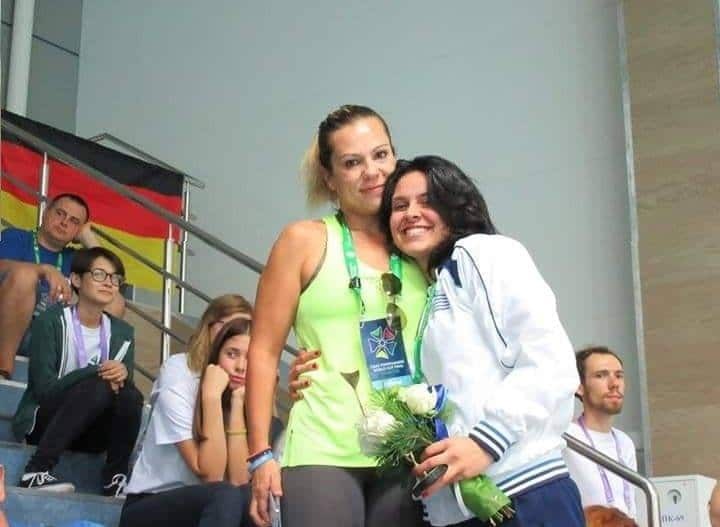 This time is the turn of Ioanna Panagiotidou from Greece, born in 1999, one of the best hellenic middle-distance finswimmers. We personally met her the first time ever in 2015 during the Finswimming European Junior Championship in Belgrade, where she got the bronze medal in 400sf, and lately she took part to the CMAS World Cup 2019 round 2 in Lignano Sabbiadoro (ITALY) in March 2019. 1. Hello Ioanna, a lot of people kwow you…pretend to be unknown for a moment, how would you present yourself to us? Hello, Davide! Thank you for inviting me for this interview. So, I’m Ioanna Panagiotidou, I’m half Greek and half Bulgarian. I started finswimming in 2008 and it was my first touch with swimming. From day one my coaches are Viki Tsikli and Bapkas Pavlos. Together we worked hard from the first year and we achieved our goals every time. I have broken the most of the national records in every category in my disciplines, and except of two all the rest haven’t being broken yet! In 2013 I joined the Junior National team for first time and in 2015 I participated for first time in Senior National team. 2. 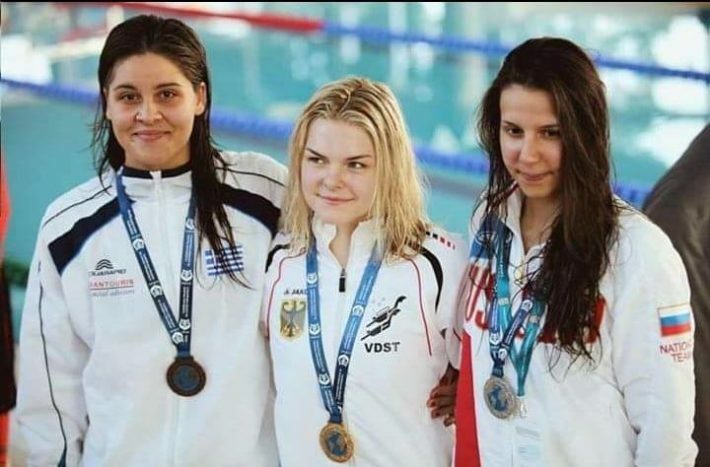 We saw you the first time in 2015 during Finswimming European Junior Championship in Belgrade, where you won the bronze medal in 400sf. Tell us your career until now! We have won bronze medals with the replays 4x200m sf in 2013 and 2014, but the first medal I won by my own it was in 2015 in 400sf, as you said! My last year as a junior (2016) I won a silver medal in 400sf, were my time as Lopatina’s was faster than the world record, and a bronze in 200sf. As a senior I have practiced in the finals of 200sf and 400sf and my best result was 4th place in the European championship in 2017! 3. 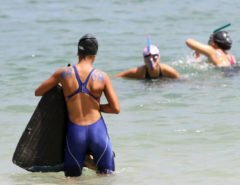 What do you do in your life (Finswimming apart)? Plans/dreams for the future? I’m studying at Balkan, Slavic and Oriental studies in second grade. 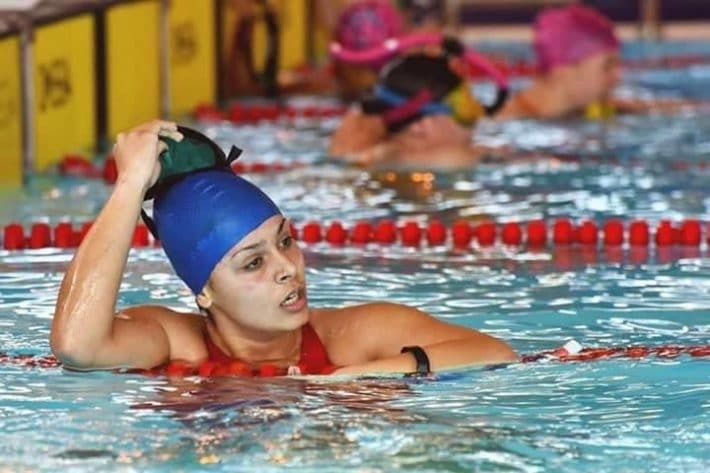 My plans and dreams are connected mostly with finswimming and my studies of course. Prove myself in both it’s my main goal! Well, my day starts with a training in pool early in the morning (6:00), and then I have to go to the gym! I spend the rest of my day in university till afternoon, when I have my second pool session (19:00) and after all I go home to rest! 5. What you like/dislike about Finswimming? 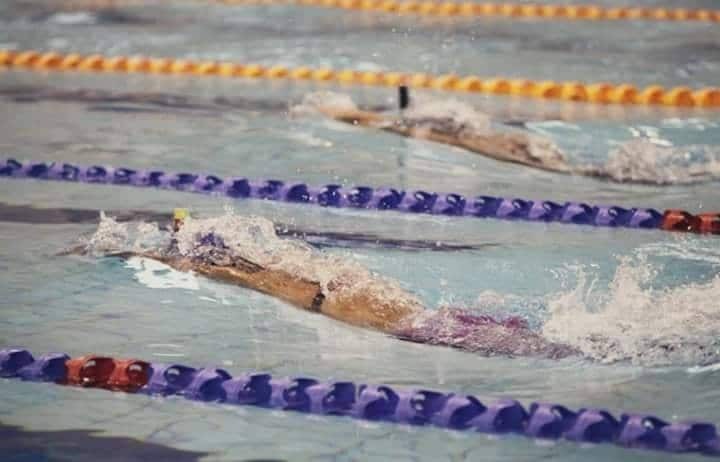 What I like in finswimming from one side is of course the sport itself. The speed and whole technique in the water was what I fell in love with. From the other side, what I really like is the friendships we have with athletes from all around the world. It’s a great think! What I dislike about our sport is what every finswimmer dislikes. The fact that a beautiful sport as finswimming is unknown and that it’s not an Olympic sport, disturbs all of us! 6. Did you enjoy the latest finswimming competition, the CMAS World Cup in Lignano Sabbiadoro? Happy? Unhappy? The 2nd round of finswimming world cup and the organization was so good, we didn’t faced any problems although the 600 participants. I expected better results but I enjoyed the World cup, as every time I’m Lignano. 7. Let’s speak about points of reference…everybody has! Who is/are yours? Points of reference.. for sure everybody has and I think mine have not difference from the rest of finswimmers. I would like the popularity of our sport to grow up and I think it is not only Commission’s kind of problem. Every athlete, every club and team have to work for it. To make finswimming popular! For example I would like to see more world cups in even more places! 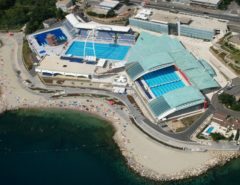 All of us like world cups in Eger and Lignano, but it will be great if we have the opportunity to swim in other countries also, and not only in Europe. Already the Coral Springs makes a good start and it will be great if we have more cups in new places during the season and not only for Golfen finals. 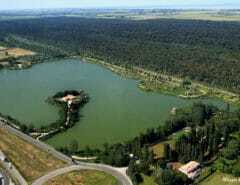 New places are not only for world cups but for world championships also. Athletes from Asia and America are coming in Europe most of the time and the costs are big, but the opposite happens rarely and I don’t think it is that fair. I hope that now when we have a Representation of athletes in CMAS things like that will be taken into consideration. 8. Tell us whatever you want! I wish to everyone a good and productive season and of course good results! Thank you very much Ioanna! And good luck for everything!